1. Do you really love me? You may say this out of insecurity, but this may make him insecure. 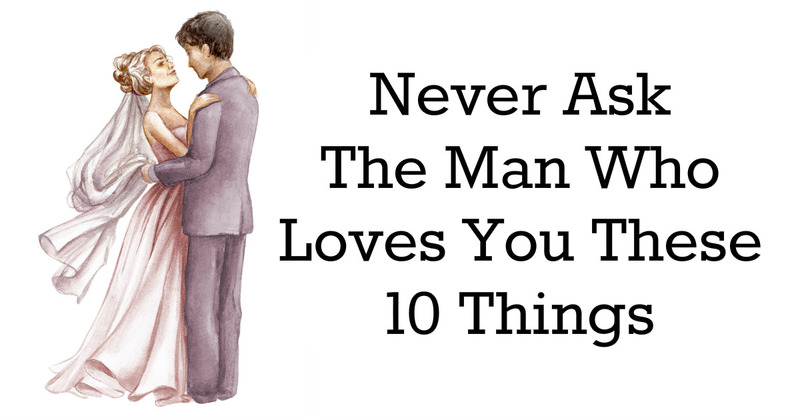 If he feels he shows you his love, and you ask him this, he will start reflecting on what he’s done wrong for you to think he may not actually love you. 2. Why don’t you ever listen to anything I have to say? Chances are he has listened to more about you than he cares to know. This may make him defensive since he actually spends a lot of time listening to you. 3. How do you know her? Unless you have some reason to doubt his commitment to you, don’t offensively inquire about someone he was talking to. This will make him feel like you don’t trust him, and trust is so imperative to a healthy relationship. 4. Why are you so emotional? If your guy has a soft side, don’t pick at it. Chances are, he’s heard it all before, and he’s really subconscious about it. Don’t make him like he’s less than a man. 5. Why did it take you so long to call me back? This question will put pressure on him in the future. If he sees your call and can’t get to it, it will stress him out because he knows you’re going to get upset. Why do that to him? 6. Why can’t you just relax? If he’s anxious or stressed about something, all he wants to do is relax; however, he won’t be able to until what the problem was has been fixed. Don’t make him feel more anxious about being wound up. 7. Why do you keep doing that? Everyone has little tics. Some people blink oddly at times or stick their tongue out while they’re concentrating. Whatever it is your guy does, it isn’t on purpose to upset you. Don’t make him insecure by pointing this unconscious tic. 8. If you had to choose between me and … who would you choose? This may sound like a very childish question, but so many people say it playing around. Why would you even want to make them think about that? This puts him into a very uncomfortable position. You should never make him choose. 9. Why don’t you lose some weight? This is extremely tactless and will make him insecure. If his weight becomes a issue, approach the issue as a concerned party, not as a someone who is judging him. 10. Have you ever considered shaving your back/ chest etc.? If your man is hairy, that is just the way his body works. 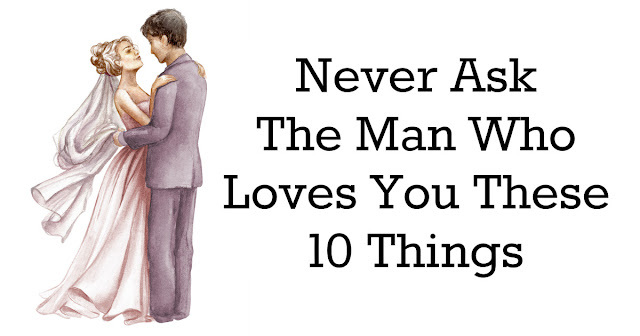 If you act like you find it unattractive, he may think you find him unattractive.